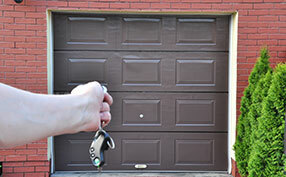 Here you can find answers to the most frequently asked garage door questions. There are several issues which make the life of people difficult. We are trying to help everyone in need deal with them in a nice and simple way by offering you straight forward answers right here, right now. We have gathered the most common garage door repair inquiries and have answered all of them to make your life safer and easier. Manufacturers suggest keeping them for no more than six or seven years but the experts at Garage Door Repair The Colony insist that good and regular services and proper lubrication maintenance would extend their life for much longer. So, you must follow the instructions about maintenance and garage door torsion springs adjustment to the letter. Though, if you get a heavier panel or springs look weak and tired, you must change them before they snap. Which garage doors are best for residential use? It will basically depend on your needs. If you have multiple cars and a big garage, you might need to join two separate garage doors into one. Overhead doors are the most common solution for average homes according to our service provider because they don't occupy too much space. If your space is limited, get rollups. Any type will be fine as long as you have the space for it. What kinds of openers do roll up garage doors use? The technicians of our company explain that these doors require jackshaft openers. The jackshaft opener is mounted on the wall next to the shaft which holds the spring. Its job is to rotate the spring so that it can roll the door panels up or down. How are the springs on garage door fixed? The specialists at garage door repair The Colony are well equipped in dealing with all types of issues related to garage door springs. The springs used are heavy duty and high cycle tempered springs that do not need lubrication regularly. The springs last longer than the typical door springs present. What's usually wrong with a door reversing? 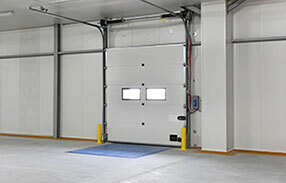 One of the most common problems our specialists in The Colony deal with is overhead garage doors reversing the minute they start their journey downwards. In most cases, this is clearly a problem with the sensors. If not aligned properly, they send a signal that it's not safe for the door to descend and so the reverse mechanism moves the door back to its opening position. How much time does it take to install a new garage door? Professional technicians like the ones we have with us at Garage Door Repair The Colony can perform an installation in a couple hours once everything is discussed with the house owner. Users should make sure that all safety measures are taken into consideration before, while, and after the installation. Supervising of the process by a family member is also recommended.